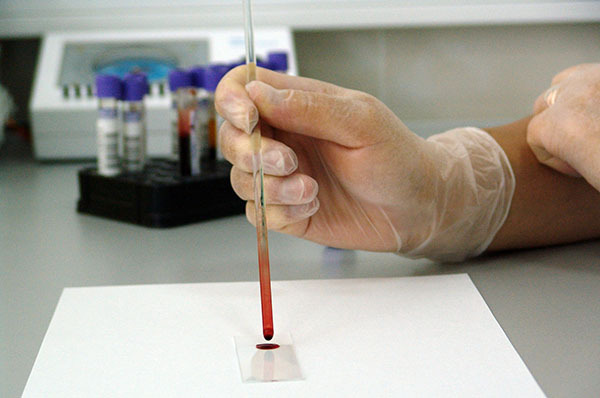 Blood Lead Testing | Health & Nutrition Service of Racine, Inc.
Lead was commonly used in plumbing and paint for many years before the hazards of lead exposure were known. Today, most people still know very little about the hazards of lead poisoning. Lead poisoning happens most in children that live in or frequently visit older homes. These homes often have lead in the paint chips or dust throughout the home or in the drinking water that passes through lead pipes. There have been recent awareness campaigns and new laws passed to help remove and replace these sources of lead. Some children show no signs of lead poisoning, but some symptoms for more severe cases are irritability, hyperactivity, headaches, upset stomach, poor appetite and sleeping problems. There is only one way to determine lead poisoning and that is through blood tests. It is recommended by the Wisconsin Department of Health Services that all children in Wisconsin are tested around their 1st and 2nd birthday if they have a risk of exposure to lead or are enrolled in WIC or Medicaid. In the cities of Racine and Milwaukee it is recommended that all children be tested at the age of 12, 18 and 24 months. To learn more, review the Wisconsin Blood Lead Screening Recommendations and discuss with your child's doctor. We also have lists available for certified contractors that can help you test your home for lead or perform lead safe renovations on pre-1978 homes.